Form may follow function, but where's the fun in that? After all, if we don''t learn to bend a few rules once in a while, what unexpected wonders might pass us by? 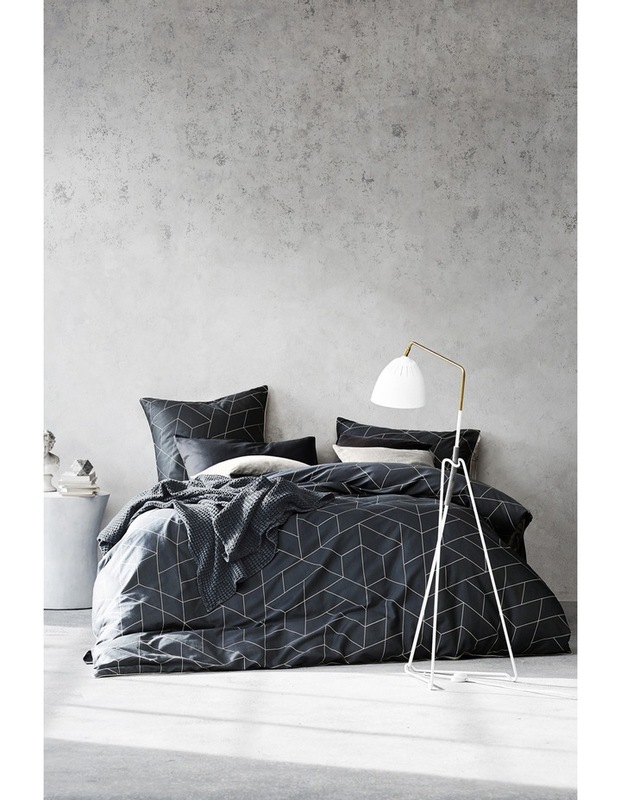 Cos, with its oblique geometry sublimely set off by the luxurious sateen of stunning greystone, with one simple twist, this quilt cover transforms into an expanse of natural colour. Reverses to the same design. Trimmed with silver blue piping. 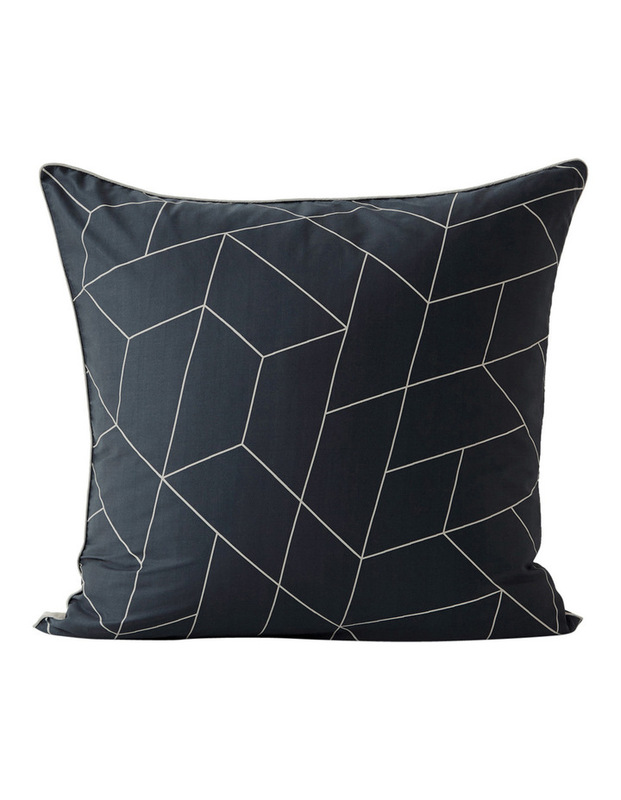 Available in Greystone and Silver Blue in quilt cover sets and European pillowcases.